My motorbiking days are over. After shattering my elbow it's now impossible to ride a bike, the pain is far to great. So still wanting the thrill of acceleration, and the wind in my hair I have decided to build a "7" style sports car with my 2 boys, Ben & Alex. 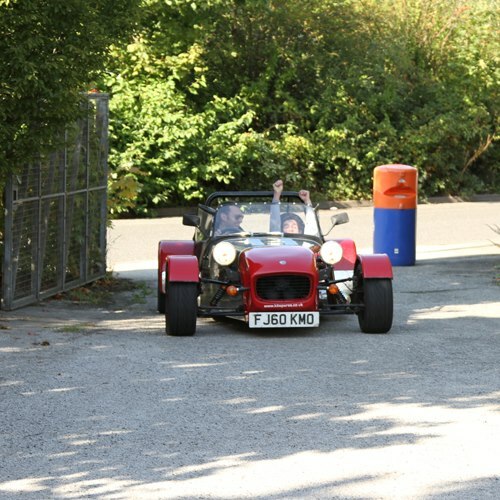 We have attended a kit car show, seen different style's, talked to several builders and visited most of the major manufacturers, and have nearly made our minds up which one to build. 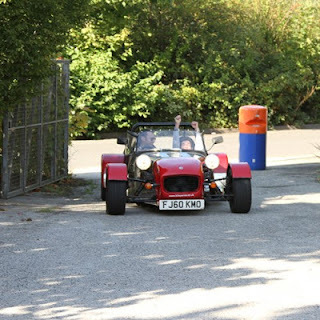 A visit to the GBS factory on thier open day, and a test ride for Ben in thier demo car made the choice easy.... A GBS Zero would be the one. Then an invite to a track day at Blyton Park the next day would seal it. Sat there waiting for the "green" light, with Kieth, one of the directors of GBS, he's going to show me what the Zero can do in "Standard" road spec. Our Ben enjoying a test ride !